Headquarters Beercade, located at 950 W Wolfram in Chicago, officially opens the doors to its pinball expansion this Thursday, May 23rd. The 7,000 square foot expansion connecting to the Beercade will offer over 20 must-play pinball games, both oldies and today’s hits, located within a “pinball alley.” With support from Chicago’s very own Stern Pinball, leading designer and manufacturer of arcade-quality pinball games, it’s set to be the pinball mecca of the Midwest. The grand opening event is on Thursday, May 23rd starting at 7 pm. There will be special drink offers on the canned crafts and killer cocktails, and lots of arcade-quality pinball gaming. Special guest DJ’s Greg Corner and Jonny Radtke will be there throughout the evening as well. The grand opening festivities will continue on throughout the weekend with doors opening at 7 pm on both Friday, May 24th and Saturday, May 25th. Look out for the Pin-ups for Pinball roller girls. 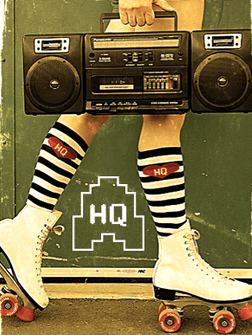 Follow @HQ_Chicago on Twitter to see where they’re at, as they’ll be sharing special passes and offers.